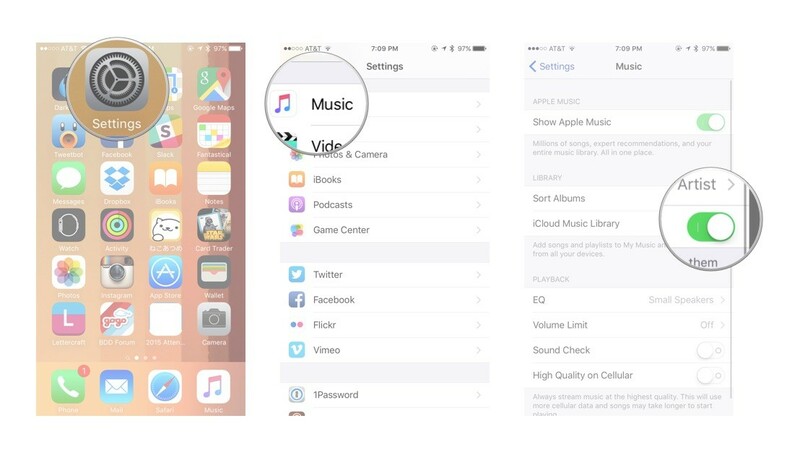 We hear many complaints from Apple Music users, and the most common one is "iTunes won't let me add music to iPhone." If you find that iTunes does not allow you to add songs, do not worry. 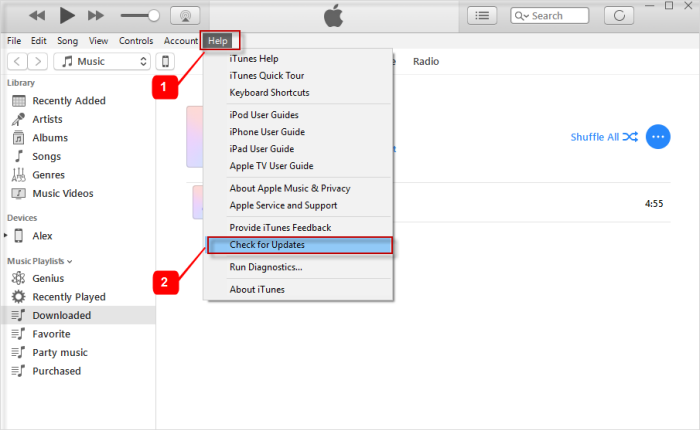 In this post, we'll show you why iTunes does not allow you to add songs and fix them. Follow us and get more details. If iTunes doesn't let you to add music to iPhone, why not try an iTunes alternative? iMyFone TunesMate has been proved the best iTunes alternative since 2017, it can selectively transfer music, movies, playlists, photos, videos, and more media files from iPhone to computer/iTunes and vice versa. Different from iTunes, it won't deleting your existing items on your iPhone after a sync process. The best alternative iTunes, even stronger than iTunes. Sync iTunes music to iPhone without opening iTunes. Add a file to the iPhone without deleting the previous data. You can even share purchased music with friends without a password. Support all kinds of multimedia files. Re-build the damaged iTunes library. Manage music, photos, applications, documents and more from the iPhone. You can add iTunes music to your iPhone with iMyFone TunesMate even when iTunes won't let you add music to iPhone. Step 1: Launch iMyFone TunesMate on your computer and connect your iPhone via a USB cable. 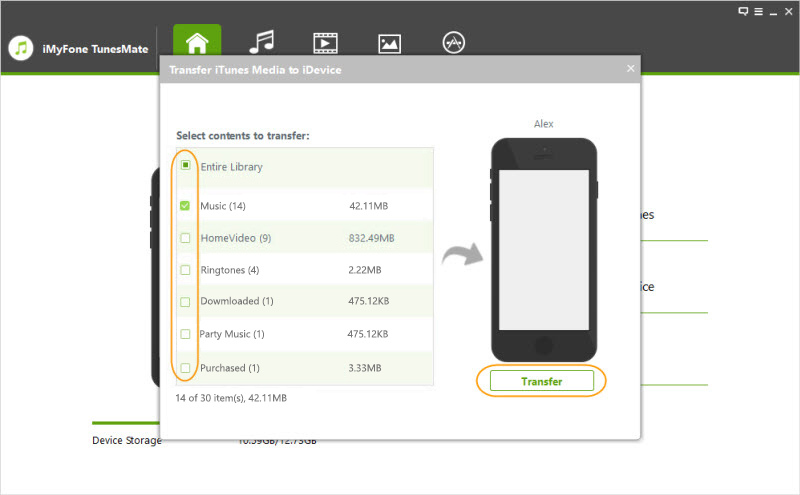 Step 2: Now select the option to Transfer iTunes Media to iDevice mode in the software home interface. Step 3: Once the scanning process is complete, all songs will be displayed in your iTunes, check them and click on the Transfer button. Then you'll be able to listen to the iTunes music on your iPhone. 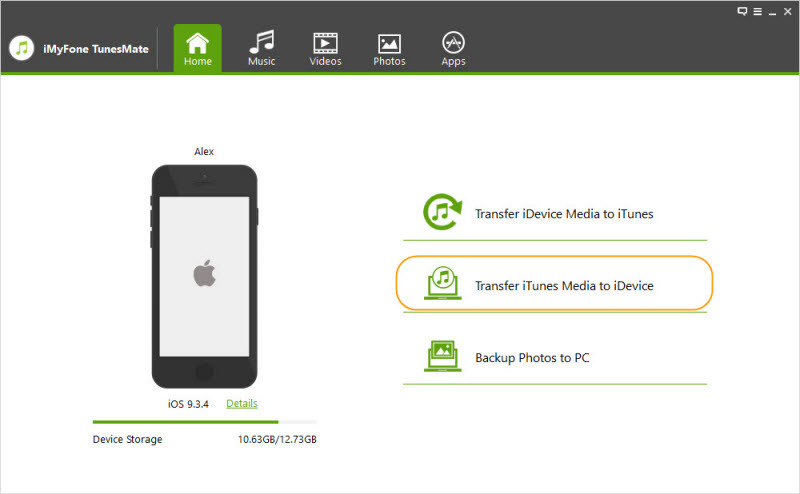 In addition, you can restore your iTunes library by copying files from your iPhone / iPad / iPod. Be sure to rebuild your library exactly as it was. 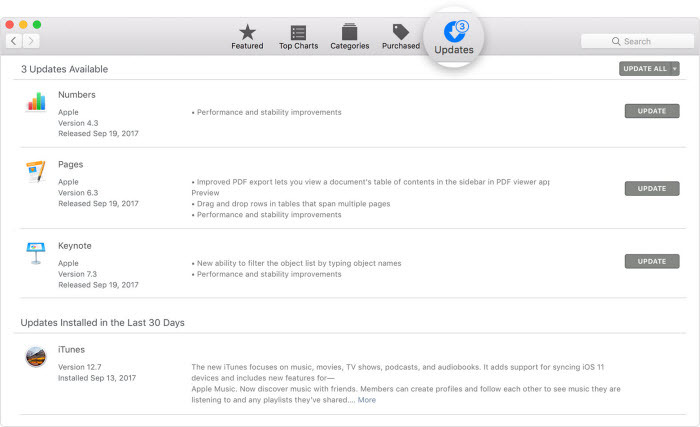 Here are the methods on how to get the latest version of iTunes on your Mac or PC. Then click Updates at the top of the window. If the iTunes update is available, install it. Through the menu bar at the top of the iTunes window, click Help, then click Check for Updates. Go through the instruction to install the latest version. If iTunes is not installed on your computer, download the latest version. 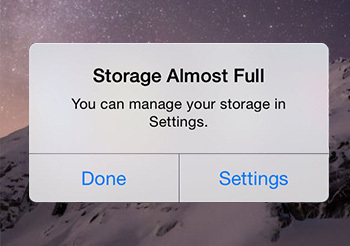 Are you worried about filling up your iPhone and wondering how to check your storage space? If the space on your iPhone is full, then you will face the problem of "iTunes won't let me add music to iPhone". Initialize the Settings app on your iPhone. Tap on General > iPhone Storage. At the top, you can see the used space and available space areas, which are related to the space on your iOS device. If it's full, you can release some space by deleting the un-important contents. Step 2. Then click Music. Step 3. Finally, tap on the iCloud Music Library. Move the switch until it turns green.